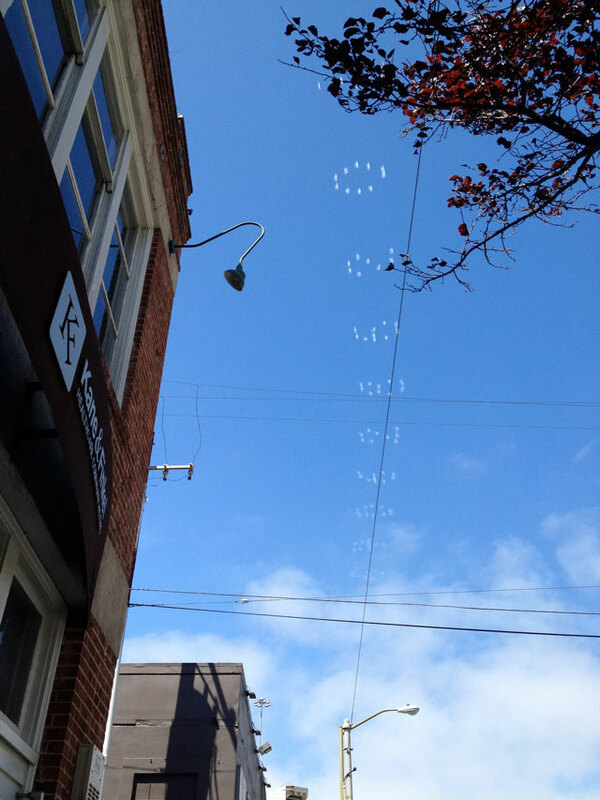 On the afternoon of September 12, 2012, artist ISHKY, with Stamen Design, launched Pi in the Sky, a project that used skywriting to create quarter-mile tall digits at 10,000 feet over the San Francisco Bay Area. 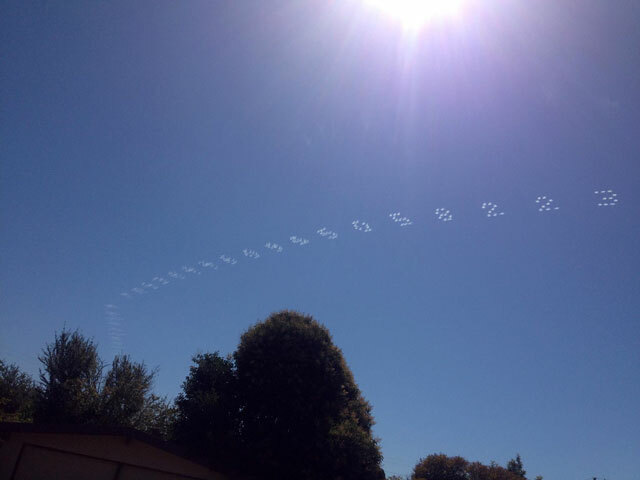 It took a team of five synchronized skywriters “equipped with dot-matrix technology” to create the first one-thousand numbers of the infinite order of pi (3.14159, etc.). 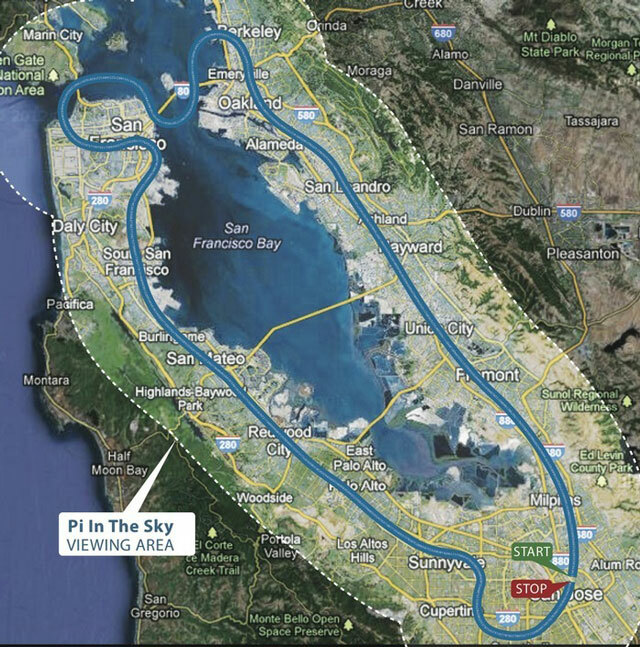 The airplanes made a 100-mile loop around the Bay Area, which created a temporary piece that was 150 miles long. 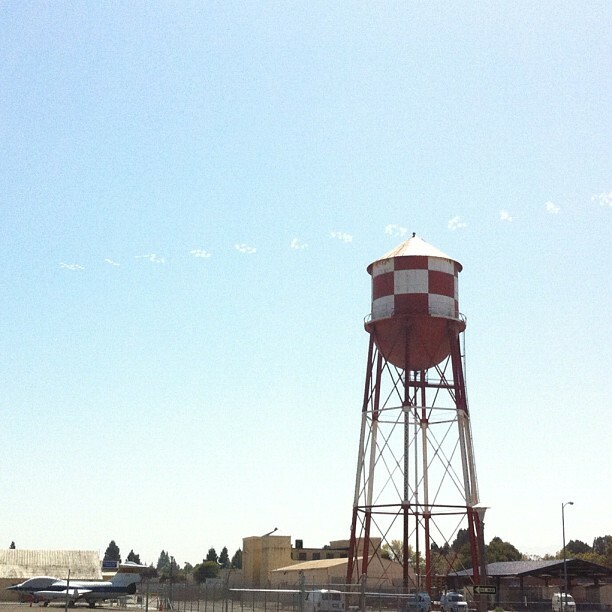 It was created as part of the 2012 ZERO1 Biennial. Pi In The Sky explores the boundaries of scale, public space, impermanence, and the relationship between Earth and the physical universe.